What is Fog and How Does it Develop? Fog is a cloud that forms at ground level and reduces visibility less than 5/8 of a mile (1 km). Just like clouds, fog forms when the temperature equals the dew point temperature, and sufficient condensation nuclei are available for the water droplets to condense onto. 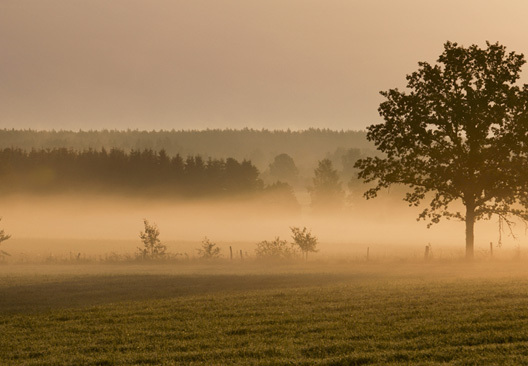 This common type of fog forms overnight when the ground cools, which allows it to hold less water. The image above of the fog covering the field is radiation fog. On still and humid nights, as the air temperature cools to the dew point temperature, fog forms. Little to no winds allow for a deeper layer of fog. Radiation fog usually dissipates soon after sunrise as the sun warms the ground and creates mixing and turbulence. 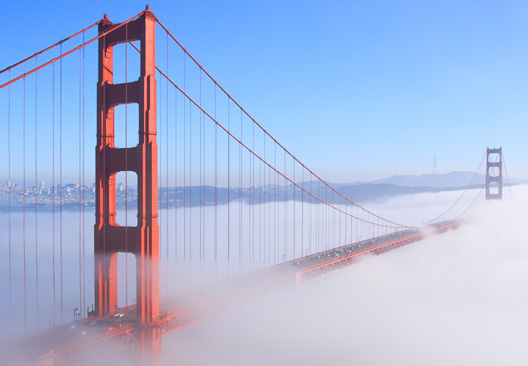 Common for coastal locations, like the West Coast of the United States, advection fog forms when warmer, moist air moves over cold ground. This forces the air to cool to saturation and condense into a cloud. Once formed, it is often pushed further onshore by low-level winds. While the onshore winds can maintain this advection fog for days on end, the daytime warming over land can create enough mixing to break up the thick advection fog, seemingly pushing it back towards the water. 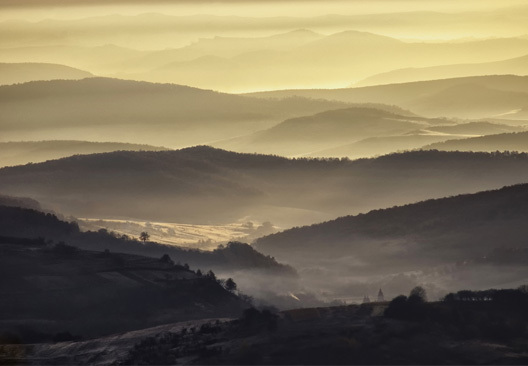 In mountainous areas, overnight cooling allows for cool air to sink to valleys because cold air is more dense than warm air, so it sinks to low levels. This is known as “cold air drainage”. This cold air lowers the air temperature closer to the dew point in these valleys and if sufficient moisture is present, fog will form in the cold pools or cold valleys overnight. Similar to radiation fog, this will dissipate after sunrise when the sun starts to heat these areas. When the tiny droplets of water vapor are below freezing but still in liquid form, it is called supercooled. When these supercooled droplets in fog come in contact with an object that is at or below freezing, it instantly freezes in a layer of rime or glaze of ice. 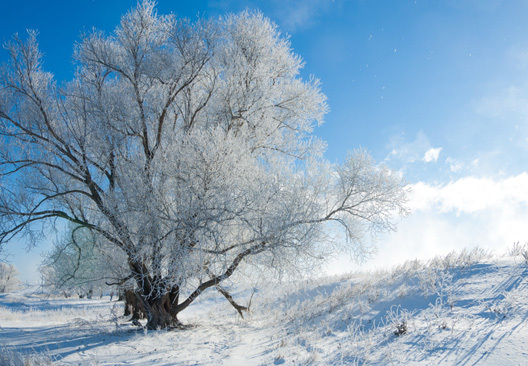 The image of the tree above shows the freezing fog created a glaze of ice crystals on the tree branches. The definition of fog is reduced visibility! So, it can cause some extremely dangerous driving conditions. Please be careful and drive with caution when fog is present on the roads. Also, be prepared by learning what the National Weather Service recommends for safely driving in fog. Additionally, freezing fog makes for some dangerously icy sidewalks, roads, and railings. Interested in learning more about cloud types and formation? Check out our previous blog article on Cloud Types.